(Wai`anae) –The Wai`anae Small Boat Harbor comfort station will undergo renovations over the next few months. The project is slated to begin on November 26, 2018 with completion in late February 2019 but could take an additional few months for completion. The project contractor is Maxum Construction of Hawaii, LLC at a cost of $384,215. This project involves the renovation of the existing men’s and women’s restrooms, concrete spall repair (spalling is where the concrete is falling away from the reinforcement inside the concrete), repair of wooden railings, interior and exterior painting, new lighting, new doors, and epoxy flooring. During the renovations the restrooms will be closed and portable toilet facilities (including one ADA accessible toilet) will be provided. 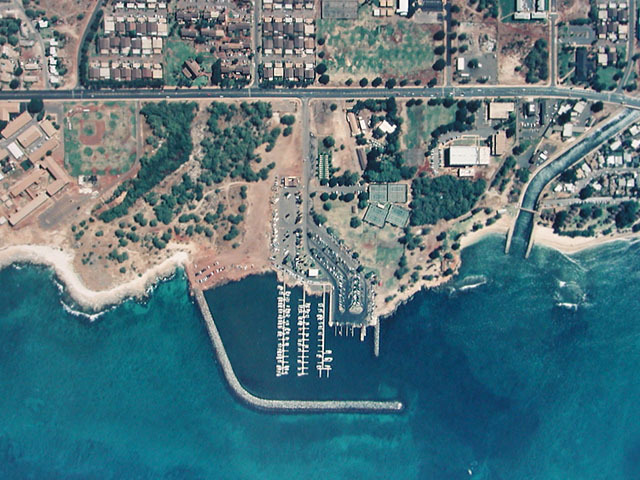 The Wai`anae Small Boat Harbor is located just north of Kane`ilio Point on the Wai`anae coast of O`ahu, approximately 10 miles northwest of Barbers Point. The harbor has 109 berths and 7 ramps.